UN culture organization votes to adopt resolution denying Israeli rights to capital, Jerusalem. The United Nations Educational, Scientific and Cultural Organization (UNESCO) Steering Committee voted Tuesday afternoon to adopt a resolution denying Israel's rights to its own capital, Jerusalem. The vote took place on Israel's Independence Day. 22 nations voted in favor of the resolution, compared to 10 which voted against it. 23 nations abstained. The resolution declares that "all legislative and administrative measures and actions taken by Israel, the occupying Power, which have altered or purport to alter the character and status of the Holy City of Jerusalem, and in particular the “basic law” on Jerusalem, are null and void and must be rescinded forthwith." The resolution also condemns Israel for the military conflicts with the Hamas terrorist organization, which rules the Gaza Strip. Israel's Ambassador to the UN, Danny Danon, slammed the resolution as an assault on the history of the Jewish people. “This biased and blatantly deceitful decision, and the attempts to dispute the connection between Israel and Jerusalem, will not change the simple fact that this city is the historic and eternal capital of the Jewish people. Israel will not stand silently by in the face of this shameful resolution,” Danon said. Israeli Prime Minister Binyamin Netanyahu ridiculed UNESCO during a question-and-answer segment in the annual Tanach Quiz, saying that Israel does not believe in UNESCO. “We don’t believe in UNESCO,” said Netanyahu. The Prime Minister’s comment echoed a statement by Deputy Foreign Minister Tzipi Hotovely (Likud) on Monday, in which she derided the UNESCO resolution and the denial of the fact of Israel’s sovereignty in Jerusalem as “fake history”. "This is absurd. We have become used to the concept of 'fake news'. Well, welcome to 'fake history',” said Hotovely. "UNESCO has long been politicized and unfortunately has become a tool in the service of Palestinian propaganda against Israel. "Such absurd and historically baseless resolutions undermine UNESCO's mission of safeguarding humanity's cultural heritage. 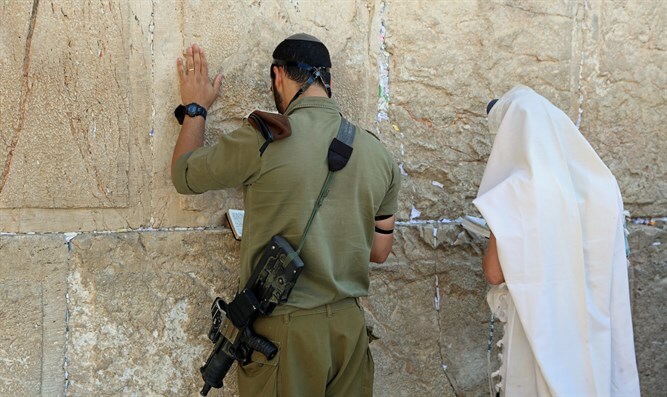 "We, as Israelis, don’t need UNESCO's approval of our history in our land. However, for the countries voting tomorrow, I must say in the clearest terms: if you cherish history and affirm UNESCO's duty to respect historical truth, there is no choice other than to vote against this latest attempt to subvert international institutions in order to attack Israel." "Our opinion is very clear. UNESCO cannot be the place for a permanent ideological confrontation," Alfano said.